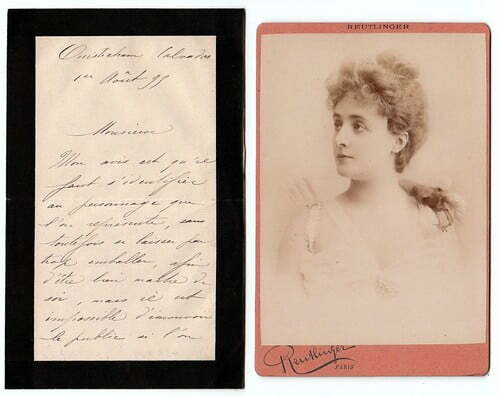 Autograph Letter Signed ‘Leonie Yahne’, giving her correspondent her views on the art of acting. In French. 1½ pages 7 x 4½ inches, deep black border. With a separate cabinet portrait photograph of Yahne, by Reutlinger. Calvados, 1 August 1895. Leonie Yahne, French actress.